The KY IPOP (Kentucky Inpatient and Outpatient) data collection system is an online tool that securely allows for submission, collection and editing of Inpatient and Outpatient case-level data from facilities, as required by statue and administrative regulation, to the Commonwealth of Kentucky. KY IPOP data collection system includes all acute Inpatient cases (except for discharge cases from swing or hospice) and all Outpatient cases. If you have any questions about KYIPOP, please contact Melanie Moch at KHA. KHA InfoSuite is the online data decision support system available to KHA members for obtaining information from KHA’s statewide inpatient and outpatient Limited Data Set. If you have any questions about InfoSuite, please contact Chuck Warnick at KHA. Kentucky Quality Counts is the new Quality Data Collection tool for KHA and the Kentucky Institute for Patient Safety and Quality. It is an online system that securely allows for submission, collection and editing of all outcome and process measures for quality reporting. If you have any questions about Kentucky Quality Counts, please contact Melanie Moch or Dolores Hagan at KHA. 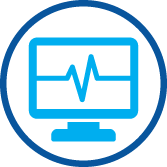 Kentucky Hospital Association’s Longitudinal Analysis program will support hospital efforts to improve care delivery and patient outcomes by providing data analytics to evaluate patient-level utilization of services across the continuum of care. This new data service will inform providers how to modify their care delivery and business models for the transition from volume to value-based payments. If you have any questions about Longitudinal Analysis, please contact Melanie Moch at KHA. 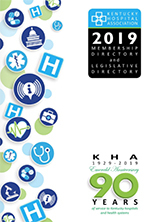 If you have any questions about the KHA Board Self-Assessment Tool, please contact Chuck Warnick or Melanie Moch at KHA.